Want to apply for Al Futtaim jobs in Dubai? We listed all new openings directly from Al Futtaim careers page. No need to get tension about fake recruitment and fraud job offers. Also we sharing some benefit details and tips to get jobs in Al Futtaim Group. This page is last updated on April 3rd week. We will update this page every week. Al Futtaim is one of the best leading and most successful business group in Dubai, UAE. Currently they have 200+ new jobs openings UAE , Oman, Qatar, Saudi Arabia and whole over the world. Why should you apply for Al Futtaim jobs? Al Futtaim has business in 29 countries and have employees from whole over the world. Al Futtaim careers focusing for employer’s skills and development and training for new skills and knowledge. 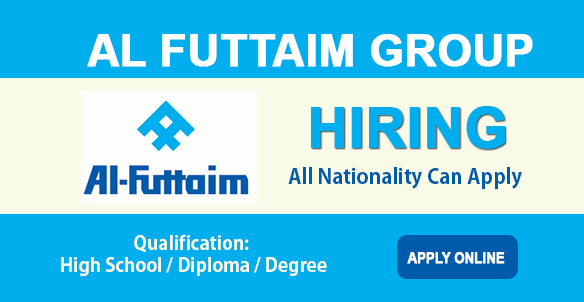 Al Futtaim inviting job application from all countries and fresher too. Currently Al Futtaim has numerous numbers of job openings and inviting people with kills and academic backgrounds and they believing that they can offer job for everyone. Al Futtaim giving values for employees healthy work life balance, because they need best output from you. They providing competitive salary and benefit packages. They also provide medical insurance, educational allowances, airline tickets and accommodation allowances etc… But all of these benefits are purely based on job role and seniority level. Currently Al Futtaim publishing their jobs in their career page and Linkedin jobs. All Dubai based jobs are listed on next page. You can check these jobs via following link. Once you found suitable job vacancy then click on job title and it will redirect you to company career page. There you can read all requirements and responsibilities. After sharp reading just click on “Apply Now” button and it will redirect you to account creation page. Complete all the steps carefully. Once you complete the job application then you will get an acknowledgement e-mail. Once you short listed for interview then Al Futtaim recruitment team will contact you via e-mail or given phone number. Note: We are not involving any stages of Al Futtaim recruitment. We are just republishing jobs and we monetizing our website with Google Adsense.